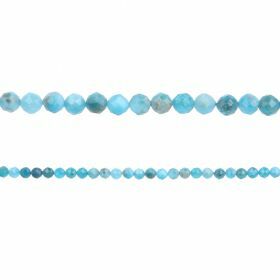 Apatite Stone is a truly beautiful gemstone that ranges in blue and teal hues. Try using these beads with Nunn Design findings and charms to make quality, earthy designs. Apatite is said to increase motivation, induce openness and social ease.